Italy Purposely Let Fiat Chrysler Skip Emissions-Cheating Diesel Tests? And this happened only last October? 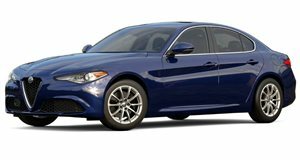 According to a new report from Automotive News, which learned of this through Italy’s transportation ministry’s own website, Fiat Chrysler vehicles were not forced to undergo emissions-cheating tests following the Volkswagen diesel scandal. A combined total of eight diesel models from BMW, Ford, Mercedes-Benz, VW and GM’s Opel/Vauxhall were tested by the Italian government for illegal engine software. 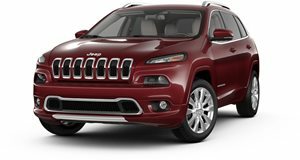 Seven FCA models were also investigated, but three of those models' results – the 2.0-liter Jeep Cherokee, 1.6-liter Alfa Romeo Giulietta, and a 1.3-liter Lancia Ypsilon – were missing from the on-road measurement phase as well as a reversed version of the New European Driving Cycle (NEDC) tests, which measures C02 and pollutant emissions. What’s more, all seven FCA models did not have data for the "Artemis" test, which adjusts lab work to take into account real world driving. All together, these tests can supposedly reveal the existence of defeat devices. This report was submitted to a European parliamentary committee last October, but an Italian government official claims a "new definitive version" of this report has since been prepared and will be revealed soon. Supposedly, all tested FCA models participated in all emissions tests. But there’s been no explanation why the earlier tests omitted FCA vehicles. FCA is already being investigated in the US for alleged emissions cheating via defeat devices, so this latest claim may only add fuel to the fire for FCA.